Pontus Jansson looks set to miss Leeds United’s upcoming clash with Millwall after picking up a knee injury prior to this week’s international break. Leeds will hope Jansson isn’t out long-term and can return following the clash with Millwall, with the 28-year-old having an impressive impact over long periods of the current season. A report in the Yorkshire Evening Post has indicated that Jansson’s replacement in the starting XI will be Gaetano Berardi, who looks in line for his first start since tearing a hamstring in October. Berardi, who is an extremely popular figure at Elland Road, started the season in the heart of Leeds’ defence alongside Liam Cooper and up until his injury, was making it hard work for Jansson to get into the side. 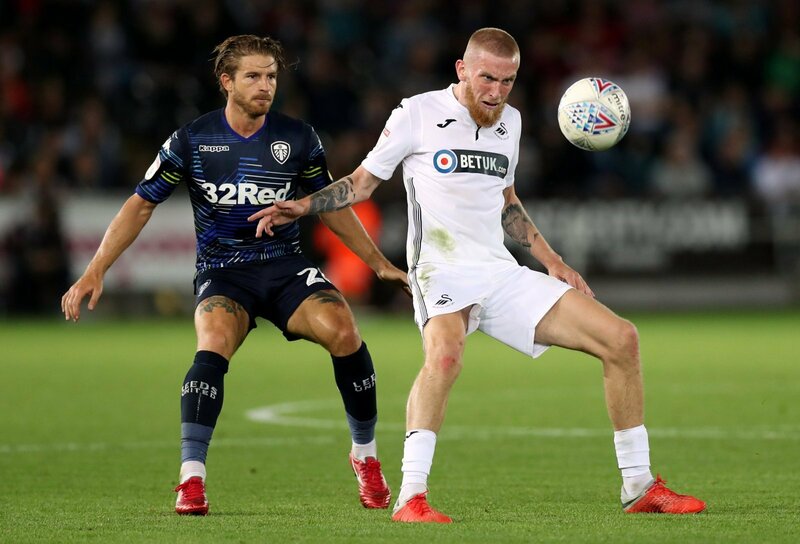 That’s not to say that Leeds will not miss Jansson, they will – he’s been superb over a large part of the season and Marcelo Bielsa won’t want to be without him for much longer than the Millwall fixture. However, Berardi has proved he is capable during Leeds’ strong start to the season, and the 30-year-old more than matches the passion Jansson shows for Leeds, which is something that makes him an Elland Road favourite. Obviously there will be some concern about Berardi’s height against Millwall, with Neil Harris’ side likely to arrive at Elland Road and look to isolate Berardi in a way they wouldn’t be able to isolate Jansson. Yet, the Leeds man will thrive off that challenge and look to meet it head on as he returns to the starting XI. It’s 10 days until the Millwall clash and Jansson is already beginning his rehab in a bid to get back as quickly as possible. However, there’s no need for Leeds to rush him back for Millwall, as there should be complete faith in Berardi to step in and solve a problem.